I must admit I’m still not completely on top of Netflix film releases but I took notice of Triple Frontier because of the talent onboard, with Margin Call and A Most Violent Year‘s J.C. Chandor up front as director and co-writer, along with Zero Dark Thirty’s Mark Boal, and a cast which includes Ben Affleck and Oscar Isaac. That’s an impressive line-up! Tonight the stars of King Arthur: Legend of the Sword hit the red carpet in London’s Leicester Square to promote the movie – and I have pics of Guy Ritchie, Charlie Hunnam, David Beckham (!! ), Poppy Develingne & Aidan Gillen. The Lost City of Z is one of those films that are annoying to review because my feelings about it are complicated and conflicting. It is a fascinating story and I liked it, but I would have enjoyed it way more had it been given a substantial trim because it is too long and slow. I am not a big fan of horror movies, nor do I see everyone’s fascination with Guillermo del Toro. But I love Mia Wasikowksa, Tom Hiddleston and Jessica Chastain individually so having them all in Crimson Peak was just a dream for me, not to mention them being dressed in the most stunning costumes. 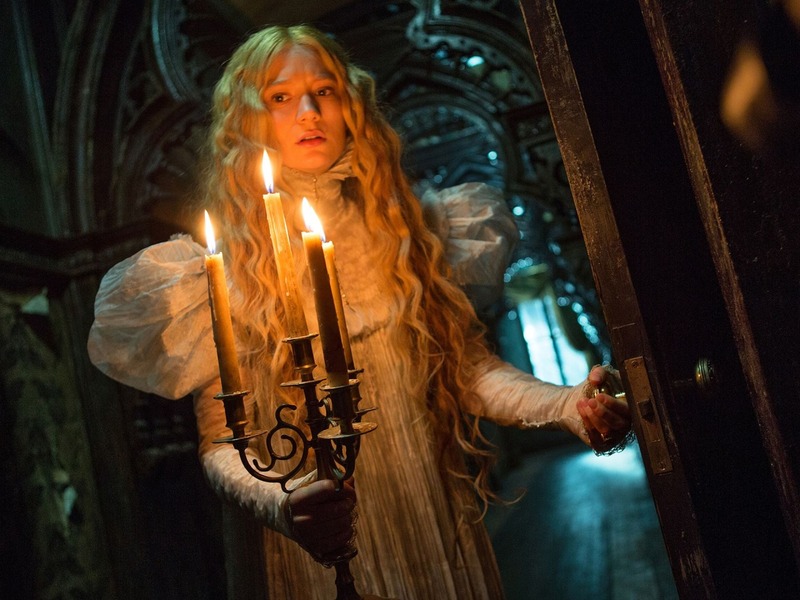 Crimson Peak is stylish, spooky and oozing in gothic atmosphere and tension. The reaction to both the book and film adaptation of Fifty Shades of Grey has been extremely polarising. I get the impression that it is almost cool to say it’s crap, so I’m going to do the uncool thing by saying I liked it. It was not perfect by all means, but it was not as bad as I was bracing myself for.